How can Boiler Grants help with the ECO boiler scheme? At boilergrants.co.uk we take your requirements and match them with a pre-screened company that has access to ECO grant funding. We only use Gas Safe Registered heating engineers and we operate a strict approvals process; which means we vet each and every one of our boiler installers to make sure they deliver the highest standard of customer service, first time, every time. Because we actively manage our own database we are able to vet, monitor and approve contractors based on the strictest criteria including minimum levels of feedback and industry required registrations. We like to think it’s what sets us apart from the rest. 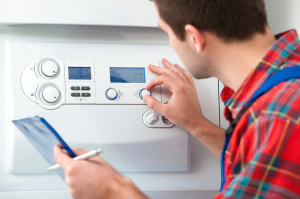 It’s very simple and hassle-free to find out if you are entitled to a boiler grant. Just answer a couple of questions, fill out our online form and get a grant survey. You may also find our 10 things you should know about Boiler Grants guide helpful. Who will contact me and how do I know if I’m eligible? 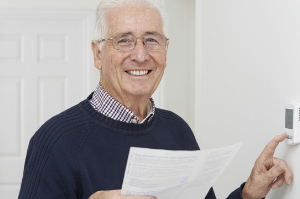 First of all complete the form above to see if your benefits are eligible, a member of our team will then call you to confirm your details and your boilers eligibility. 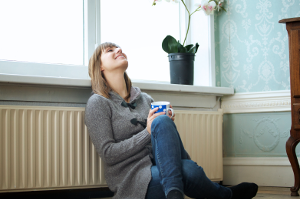 After answering these questions you’ll be told whether you’ve been successful applying for a survey to get a replacement boiler, we’ll then talk you through the grant process. What happens if I don’t qualify for a boiler grant? If you aren’t eligible for a boiler grant you can apply for finance to install an energy-saving boiler and spread the costs with monthly repayments from as little as £10 a month. This is subject to a credit check alternatively you can pay for a boiler in full and source three quotes free from accredited local boiler installers.